First property owner was Wm. B. Dodd. 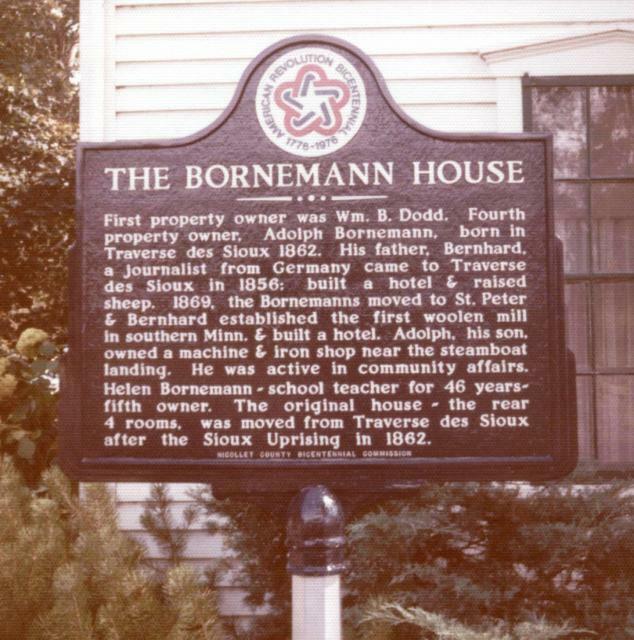 Fourth property owner, Adolph Bornemann, born in Traverse des Sioux 1862. 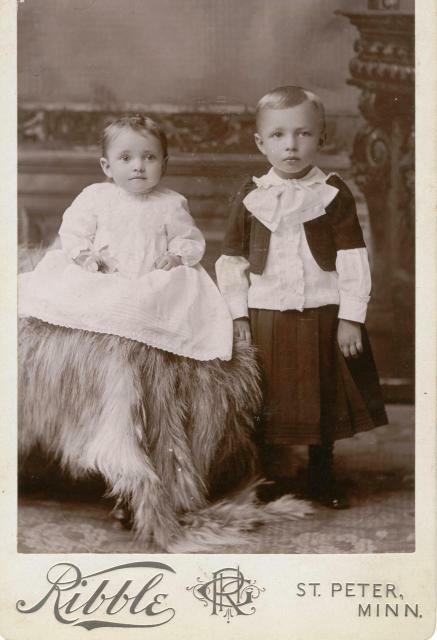 His father, Bernhard, a journalist from Germany came to Traverse des Sioux in 1856; built a hotel & raised sheep. 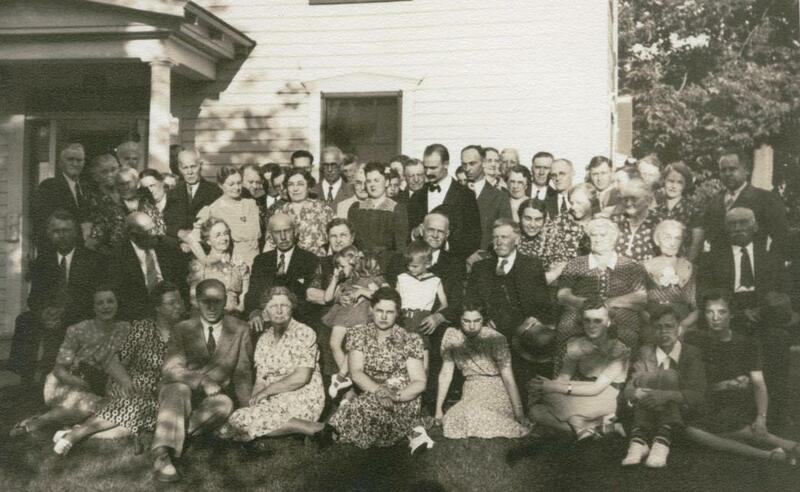 1869, the Bornemanns moved to St. Peter & Bernhard established the first woolen mill in southern Minn. & built a hotel. 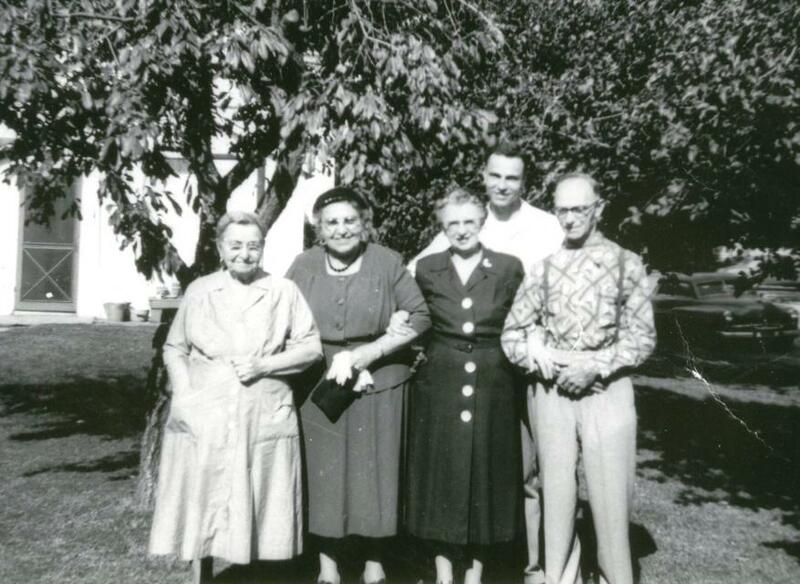 Adolph, his son, owned a machine & iron shop near the steamboat landing. He was active in community affairs. 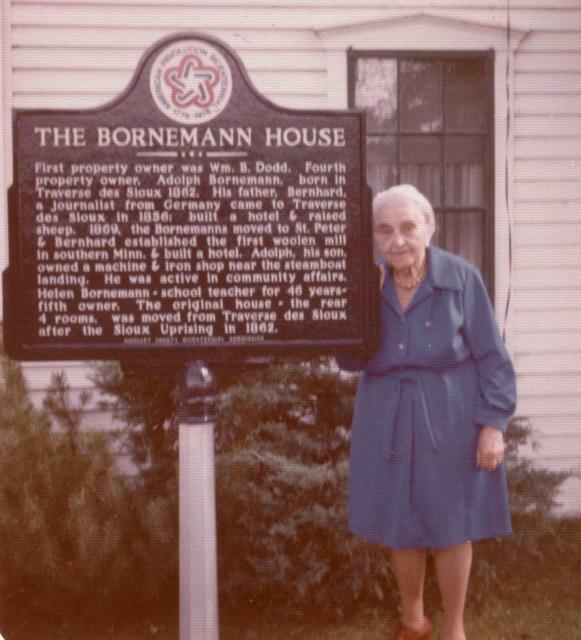 Helen Bornemann - school teacher for 46 years - fifth owner. 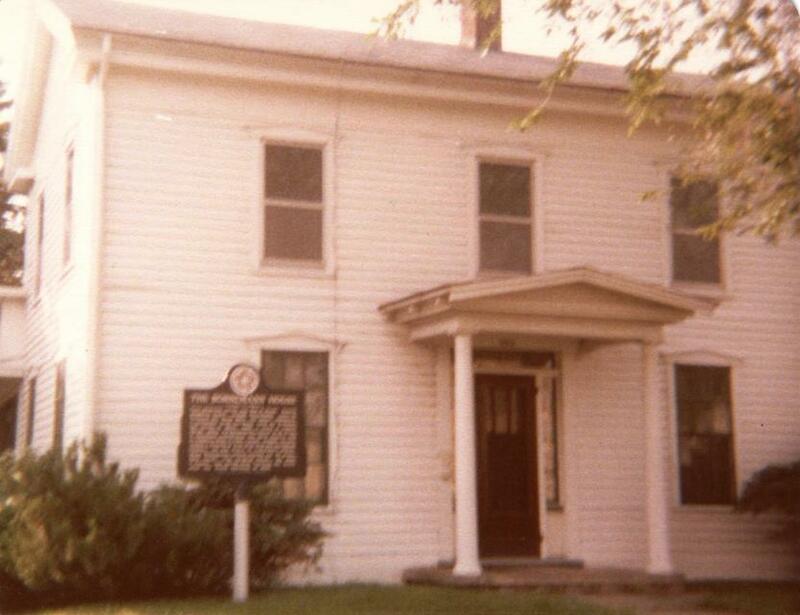 The original house - the rear 4 rooms, was moved from Traverse des Sioux after the Sioux Uprising in 1862. Helen Bornemann 1975. She was 83 yrs. old. Helen and Carl Bornemann in the back of the house. 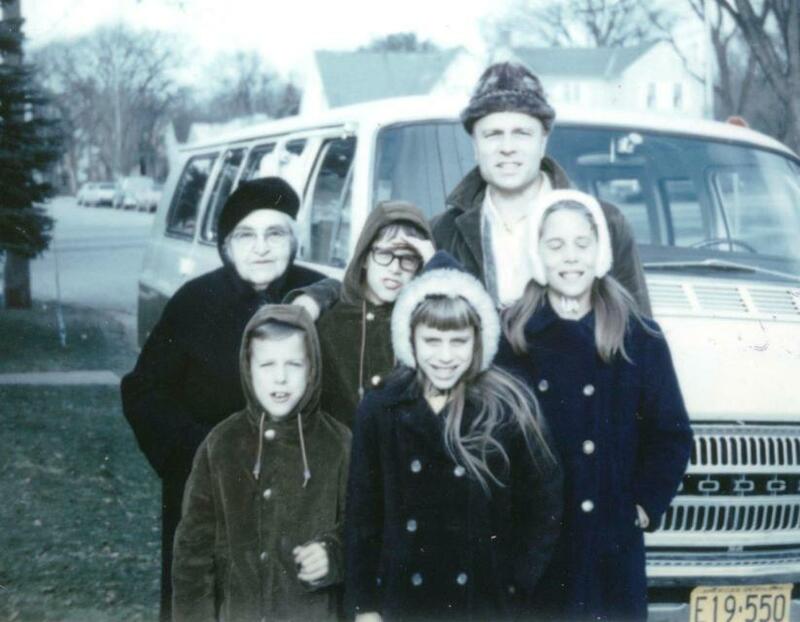 Aunt Helen with my family in 1971. 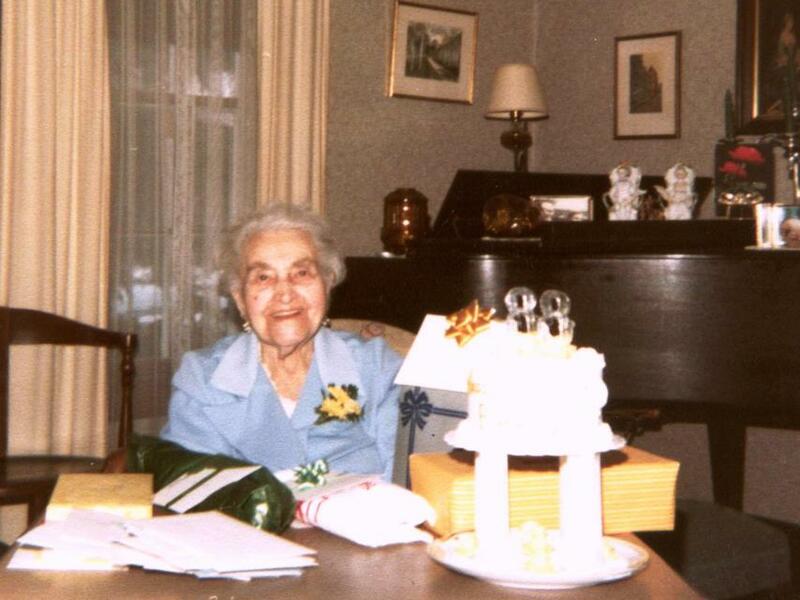 Helen Bornemann's 88th Birthday on April 12, 1980. 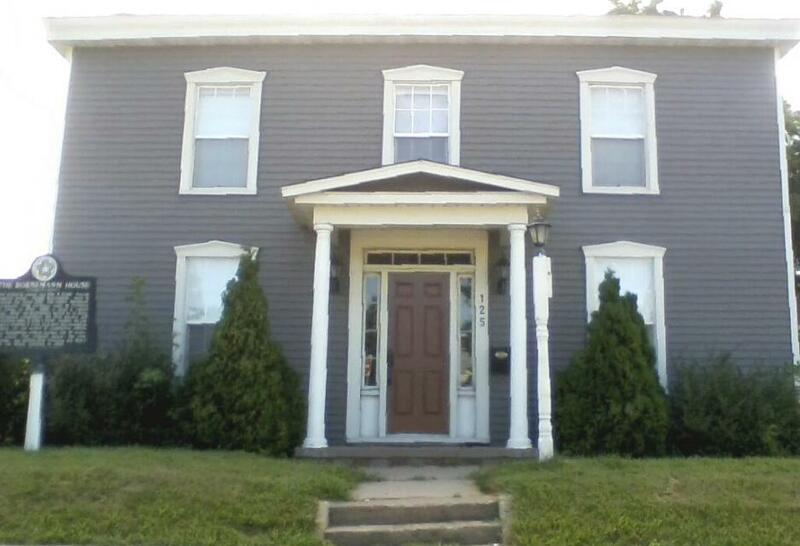 My Aunt Helen lived in this house. My family visited her here a few times when I was a child. It used to be all white. This marker can also be identified by its HM code. You can use the hashtag #HM1AEG in tweets, and any other place where you might refer to this marker, including when searching on this site.